Happy Weekend! Apologies for my absence on Thursday. Life happened and before I knew it it was past my bedtime. 😉 I’m blogging today because I won’t be able to next Tuesday, but be sure to check back Thursday for our regularly scheduled programming. First things first. Please watch this video. If that video moved you as much as it moved me, please reach out to a rescue organization in your area and find out what their greatest needs are. And, if you’re thinking about getting a dog, please, please don’t buy! Check out sites like Petfinder or go to your local animal shelter. There are millions of dogs just like Fiona that need you. A few days ago, Teton’s pal Mr. Chewy sent him a bag of YumZie’s Hickory Bacon treats to test. Never heard of YumZie’s? Neither had I. 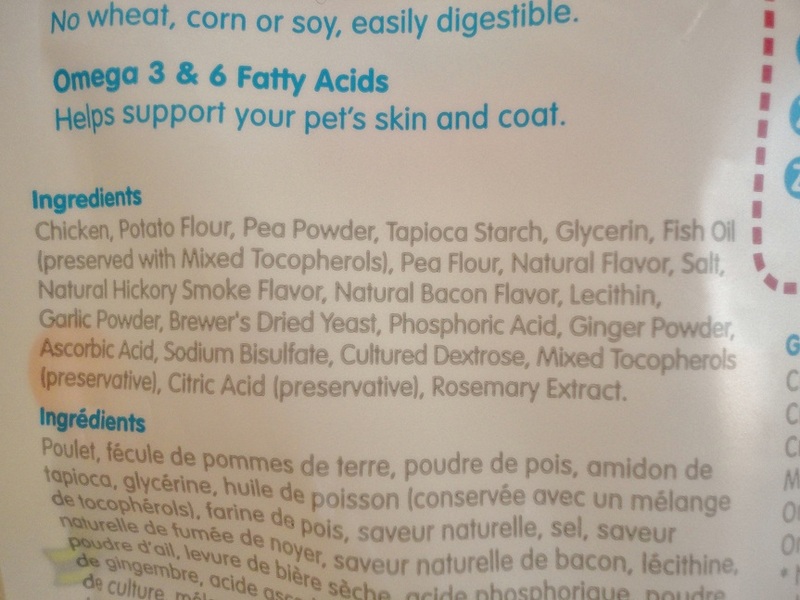 When Mr. Chewy offered to send us a bag, I check the ingredient list on their website before agreeing to review them. 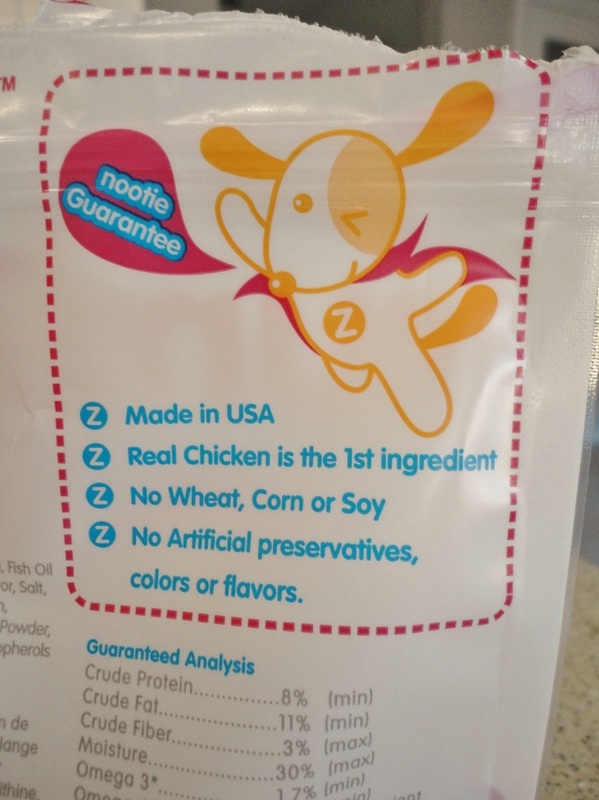 In addition to being grain free and made in the USA (two criterion that have become a must these days for Her Dog Blog), YumZie’s ingredient list was pretty solid, so we decided to give ’em a whirl. We selected the natural hickory bacon flavor, but they also come in cheese and peanut butter. I chose the bacon flavor because Teton doesn’t eat a lot of treats or food with bacon in them. With hindsight I wish I’d selected the cheese or peanut butter flavor(s) because the bacon scent is so strong that it makes my nose hairs stand on end. I guess that means it tastes delish to Teton, though. 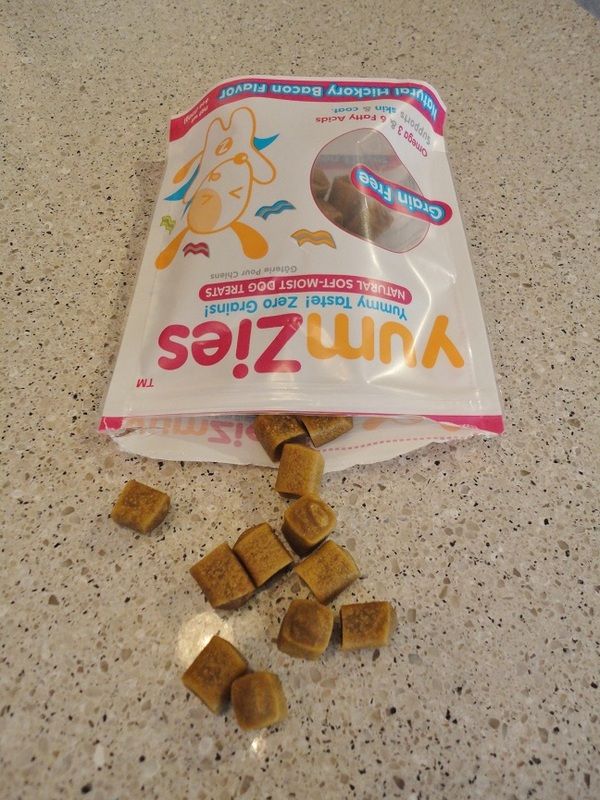 YumZie’s are small, “bite sized” treats that are fairly soft. 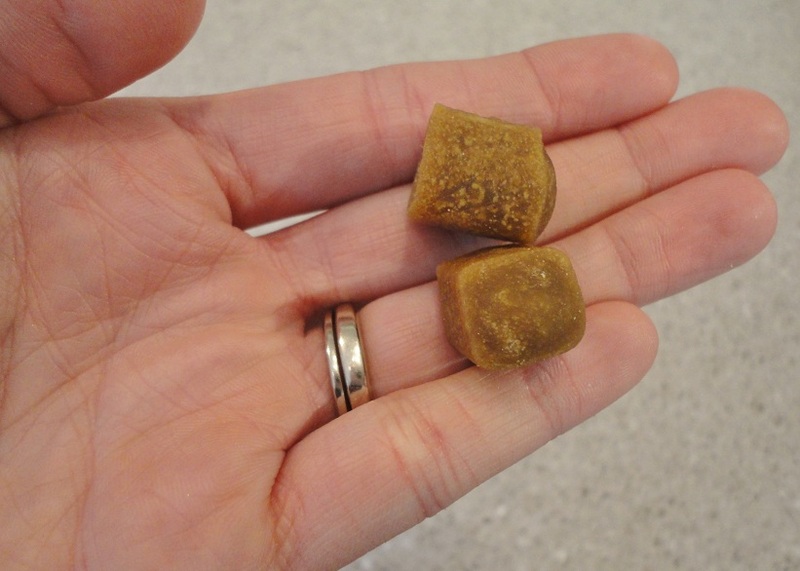 I was surprised that I couldn’t easily break one piece into two, but they are small enough that I probably wouldn’t try to divide one treat on a regular basis. It’s always nice to have that option, though, if you want to use a particular treat for training or if you have a pocket dog or one that is watching his/her weight. A 6 oz bag of YumZie’s is $6.99 at Mr. Chewy’s, which isn’t terrible, but there are a number of other larger-sized bags of treats from different brands like Zuke’s and First Mate that will get you more bang for your buck. Truth be told, The Little Blogger is lickin’ his chops over YumZie’s. There are certainly a lot of hard, biscuit-type treats on the market, but not as many soft, moist treats like YumZie’s or Zuke’s Mini Naturals. 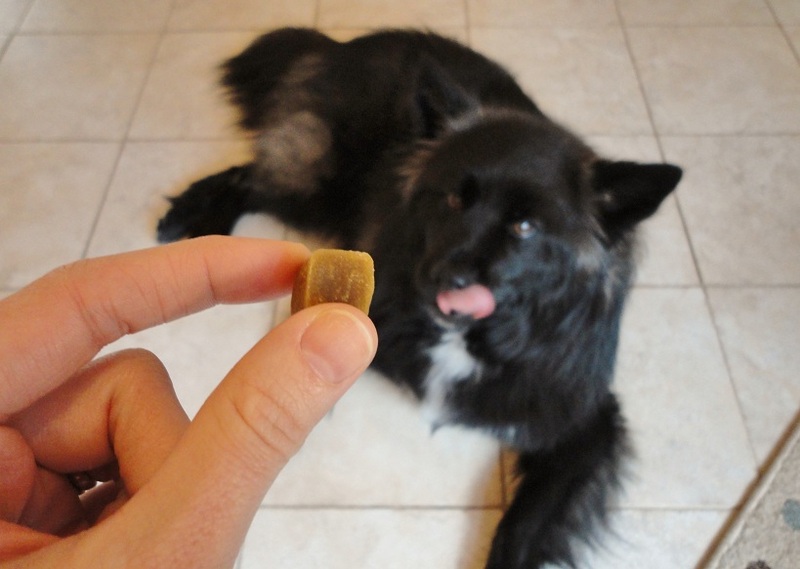 Any great soft, chewy training treats that you’ve found recently? Have a relaxing Saturday night and a productive Sunday! 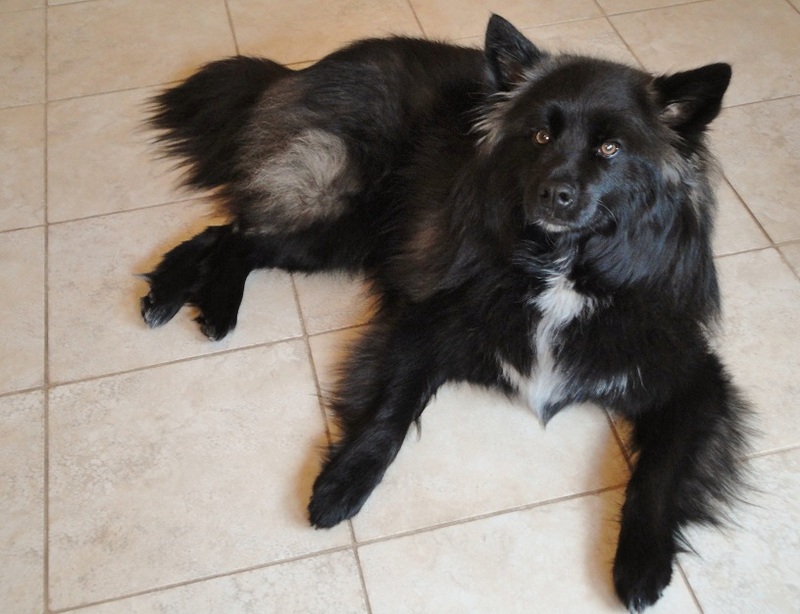 Posted on March 31, 2012 by Shannon	This entry was posted in Treat Jar, Web. Bookmark the permalink.